“That’s what makes the system work. What you see as a result is systematic gain. It’s not limited to one school—it’s district-wide,” he adds. Presenting the material in a new way can boost student understanding, too. Wellington says the district’s move to use Discovery Education Techbook has really changed how its students can understand our curriculum. “We are always looking for ways to incorporate 21st-century skills such as creativity, critical thinking, and collaboration. 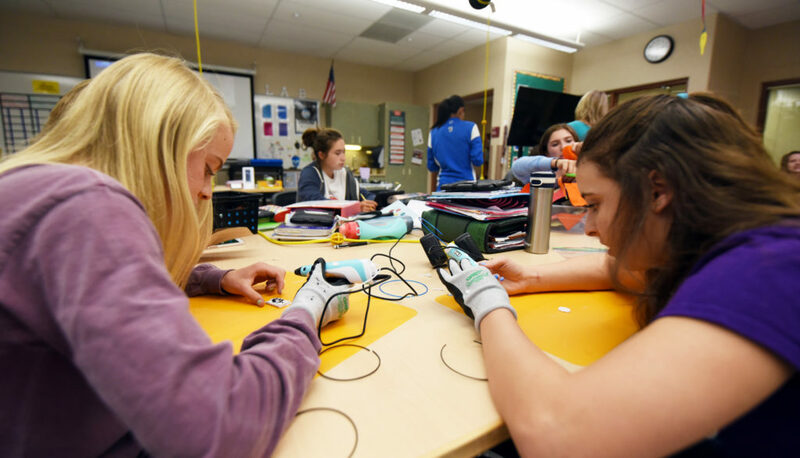 This mindset allows our teachers to push past previous limits of traditional educational practices, unleashing the learning and contribution potential of our future scientists,” said Michael O’Toole, the K–12 science coordinator at St. Vrain Valley schools. “Our district’s overall success is a result of all stakeholders, including the students, the teachers, the classified staff, the parents, the business community, and the elected officials, coming together to make a strong statement that educating our children is our top priority. And we in the St. Vrain Valley Schools could not be more grateful to the community for their support. That’s at the heart of why we’re so successful,” said Haddad.